Music scores can make or break a movie. A well crafted piece can tell a story without moving imagery. Such is the power of a piece. I have been a movie buff since as long as I can remember. One of the most memorable things you can take away from a movie is a brilliant and intricate moving score. This has to capture the very essence of the scene in the movie. If done properly you will go away and be able to listen to the score and picture the scene in your head. The score, in turn can also give a scene added gravity. Try watching a dramatic scene with the music turned all the way down. Doesn't work does it? Who does not remember big moving scores from memorable movies such as Star Wars, Raiders of the Lost Ark or Jaws? This is what a power piece can do. What most composers do is have a running theme that carries into the other movies scores, should there be sequels. This makes them directly identifiable the minute you hear them. I grew up listening to the music of John Williams. His distinct musical style is infused in each score he performs, so much so you can say that it is his piece after hearing it without even knowing who the composer is. One drawback to my love for everything John has produced is that every movie piece I have heard since then is held to this supremely high standard he set. Since John there have been so many other movie score composers. Extremely notable ones that come close to John, in my humble opinion of course include the fantastic sounds from Hans Zimmer (Pirates movies, Batman, Sherlock Holmes). His "Discombobulate" from the original Sherlock Holmes soundtrack is to date one of my absolute faves, alongside "Asteroid Field" from John's Star Wars: Empire Strikes Back. Then there is James Horner and his haunting Celtic influenced Titanic score, Howard Shore's mesmerizing Lord of The Ring's score, Danny Elfman (Corpse Bride), James Howard Newton and Alan Silvestri's (Back to the Future). I thought I was weird growing up and having a burning passion for movie scores, as I did not know anyone among my peers who collected these masterpieces. I later discovered that I was not alone and there were many other like minded people. In 2007 I had a revelation. I discovered a relatively new composer. His pieces are very distinct, and yet fresh. Just like John, he infuses his distinct style to his scores and they are immediately identifiable. His music is fantastical in that it can take you from one end of the human emotional spectrum to the next, tugging at your heartstrings on some pieces (i.e. Optimus, Transformers 2007) and then pumping up your adrenaline levels with some heavy bass drumming (i.e. You are a Soldier Now, Transformers 2007). I later learned that this musical genius was Steve Jablonsky! 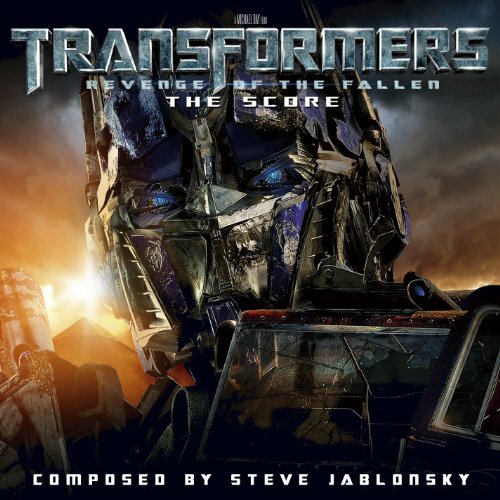 Steve Jablonsky was born October the 9th 1970 in Los Angeles, media capital of the world. He did not always plan to be a music composer. In fact he started off doing computer science at the University of California, Berkeley. But as they say sometimes you don't know where life will lead you. A year later he found himself studying music composition. His break came when he interned for renowned score composer Hans Zimmer at his Remote Control Productions company, after working as an assistant for Harry Gregson-Williams at Media Ventures. With Hans, he got to work on the score for the hit TV show Desperate Housewives. He cites Hans Zimmer, Harry Gregson-Williams, Nick Glennie-Smith and Klaus Badelt as his mentors. I discovered Steve's musical genius rather late (earlier in fact but...read on!). Being a huge Transformers fan, I was stoked that Michael Bay and Paramount Pictures were teaming up to produce a live action movie. The movie Transformers was released in 2007. I remember watching it for the first time on the big screen and being blown away. Sure this was not the Transformers I grew up with. But their highly stylized forms and the engaging story had me spellbound. What also caught my attention was the amazing musical score on the movie. And I am not talking about the soundtrack songs by Goo Goo Dolls and Linkin Park. The accompanying musical score was a pure embodiment of the Transformers. Each main character (at least for Optimus, Bumblebee and Megatron) got their own theme, which would carry over into the next few movies. Then there is the normal theme and a "hero" theme (my phrase). Optimus Prime had two distinct themes, one for more sombre reflective moments, and one when he springs into action. 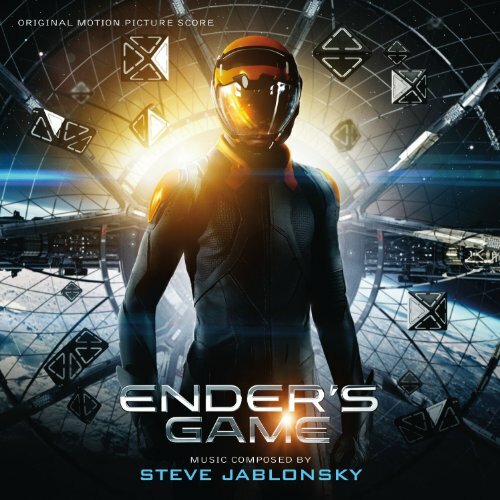 I later discovered that the music was composed by one Steve Jablonsky, a name that I would grow to love with each score he produced. I remember hearing the score for the first time and wanting to get it so badly on CD, only to learn that it would not be released till four whole months after the movie was released. Talk about an excruciating wait! It was there and then that I started following Steve's career in ernest. A great musical score is composed of many different elements. Steve's scores feature lush synthesized sounds to soaring vocals and large instrumental pieces for the epic finales. He is also adept at fantastic integrative sound mixing with live music from Linkin Park (Revenge of the Fallen: NEST theme) and Imagine Dragons (Age of Extinction: Honor to the End) for the latest score. The score for his latest project Age of Extinction takes it to yet another level, featuring some really unique sound effects (courtesy of a collaboration with Skrillex, an electronic dance music producer), almost metallic in nature (i.e Your creators want you back, Age of Extinction). You're a Soldier Now, Transformers (2007). Conveys the gravity of the situation with heavy drums, parts of it almost frenzied. I also like how Steve uses army motifs (almost like a marching band sound for lack of a better term) in his score to give us a feel for the part the army plays in the whole scene, with subtle nuances of emotion then hitting us hard with the hero theme (my absolutely favorite part) when Optimus shows up. Forest Battle, Revenge of the Fallen (2009). Another great standout piece for me. You can almost feel the evil emanating from this piece and sense how grave the situation is. Again throughout the score there is chanting, creating the eerie illusion of a malevolence presence (i.e The Fallen). Again the hero theme resurfaces when Optimus unleashed his berseker rage of the three Decepticons. Dinobot Charge, Age of Extinction (2014). My absolute favorite piece among all of Steve's tracks. I don't really know how to explain why like this. Maybe part of me was super excited to see the Dinobots. Maybe it was just the emotion (and you can feel the emotion reverberating throughout your body as the track plays out) involved with the scene when Optimus rallies the Dinobots to help their cause. Overall a very emotionally charged score, heavy on the drums (did I even mention I love drums). I also especially like how Steve infuses chinese flutes into the track. In addition he has also done work on the soundtrack for TV series Desperate Housewives (2004-2012) and TNT's The Last Ship; theme music for the documentary Seven Wonders of the Industrial World (BBC) as well as various scores for computer games such as Command & Conquer 3: Tiberium Wars, Metal Gear Solids 2 : Sons of Liberty, Gears of War 3and The Sims 3. His music has even been featured as the opening theme for Wrestlemania X8 and Wrestlemania XIX! With two more Transformers movies coming up, I am sure we have more to look forward to from this amazing composer. This is where it all began. Still the best of the lot. 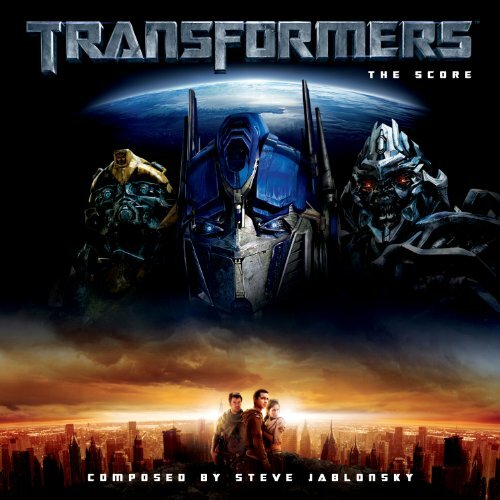 The most haunting of the Transformers soundtracks!